First off, Chris Lake is a baus, let's just get that out of the way. However, when I was cruising around the innerwebz yesterday, hunting for toonz, I noticed a clear lack of love for Mr Lake. This made me super super sad and suffice to say, I was an emotional wreck. Since then, I've had some time to calm down and I'm doing much better today (thanks for asking). 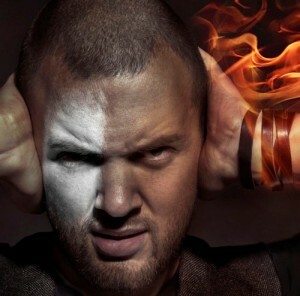 So Chris Lake, if you're reading this (which I can say with some certainty that you are), keep doing what you're doing and in the meantime, here's some love (also, call me?). By far my favorite Chris Lake track. So much going on here. It's outrageous fun! Listen to this song and try not to bob your head or tap your feet. Go ahead, do it! I DARE YA! Put your headphones on and turn the volume all the way up. Whole lot of bass in this song. Whole lot of bass. A++++ 10/10 WOULD LISTEN TO AGAIN!!!!!!!!!! I take back what I said. This is my favorite Chris Lake track. Lake and Marco Lys smash your face in with a disco ball. Get out the strobe lights, platform shoes, and leisure suits for this monster.